As you may know that Bali is a home of almost 84% of the Hindu population that live in Indonesia. With the unique culture of the Balinese Hindu people, makes Bali one of the most popular destinations for exotic holidays and wedding venues. We recently received quite few enquiries for Balinese Hindu Wedding, so this time I will explain more about these ceremonies. 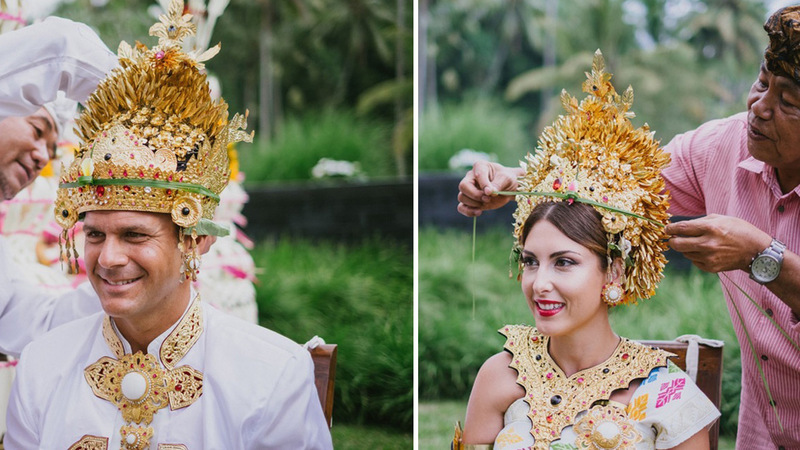 Yes, it is possible to have Balinese Blessing for both Commitment and Legal Weddings. Balinese Blessing Ceremony is a spiritual Ceremony that is part of Bali traditional custom consisting of a purification of body and soul and welcoming good spirits. Balinese blessing involve some Balinese traditional offering which is full of symbolism and philosophy. The ceremony is led by a Hindu Priest called Pemangku. Balinese Hindu ceremony is followed by Hindu followers only. For those non Hindus and who wish to have Full Legal Wedding with this type of ceremony then you will need to embrace Hinduism by making a statement of your intension to hold ceremony with Hindu religion without force from another party. After you make the statement, on the wedding day, you will have 2 Balinese ceremonies and 1 Civil Ceremony. 1st Balinese Ceremony called Sudhiwani. It is short ceremony which is similar to a Baptism within Christian faith, then the actual Wedding Ceremony, then to continue with the Civil Office to legalize the wedding and signing the legal certificates. Ceremony will be in Balinese language and your wedding planner will be there to assist you with the meaning of ceremony in English. All ceremonies will take about 45 minutes to 1 hour. How about Commitment Ceremony with Balinese Blessing? This is just a symbolic ceremony so you do not need to make any statement or having Sudhiwani Ceremony. The ceremony will still lead by Hindu Priest or Pemangku and he will give you a blessing and your commitment to each other during the Balinese Hindu ceremony. You may or may not dress up in Balinese traditional wedding costume or using Balinese dances and traditional music. These extra services are only to have real feel of the Balinese tradition. 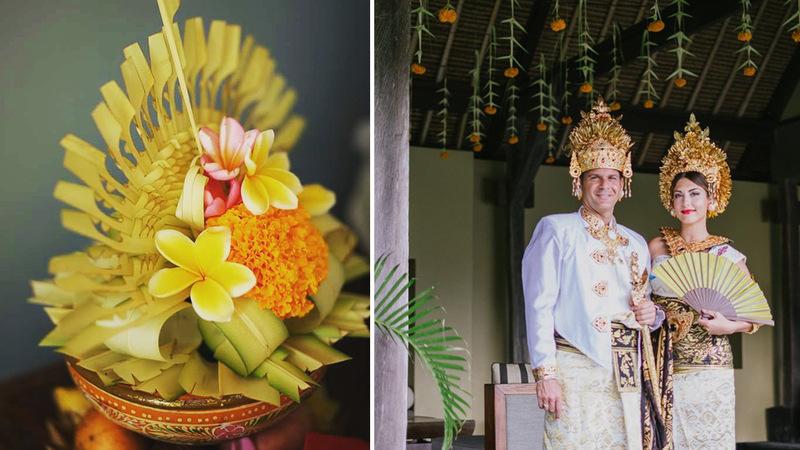 Most Balinese Ceremonies are held in family temples but for foreigners ceremony can be done in your private villa, hotel or resort. Copy valid Passports of 2 witnesses. (If you do not have any witnesses, Happy Bali Wedding will provide). Statement of your intention to hold ceremony with Hindu religion without force from other party. For Commitment Ceremony with Balinese Hindu Blessing, you may only need to provide copies of Bride and Groom passports and witnesses if any, for wedding planner to issue your commemorative certificate. Please note that Balinese Hindu wedding ceremony is different with Indian Hinduism wedding ceremony so in my next article I will explain in more details for this type of ceremony.